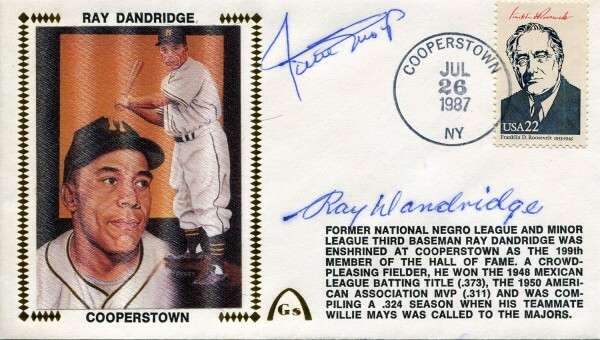 Willie Mays & Ray Dandridge Autographed 1st Day Cover. 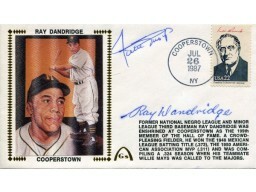 Signed in blue pen across the front of the 1st day cover. Item is authenticated by Rich Altman's Hollywood and will be accompanied with a COA from Hollywood.